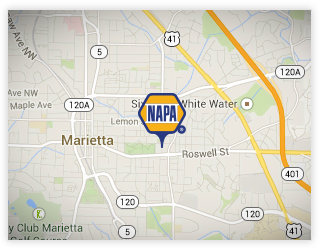 FIND YOUR NAPA STORE Even with 6,000 stores, NAPA still has hundreds of open markets across the USA. Find the right location for you. Why do NAPA store owners do what they do? Watch the "Road to Know How" video and hear Bob's story to learn more about what drives our store owners. ALREADY OWN AN AUTO PARTS BUSINESS? NAPA is not just a source of parts supply, but we provide a full business support program backed by the #1 brand in the industry. 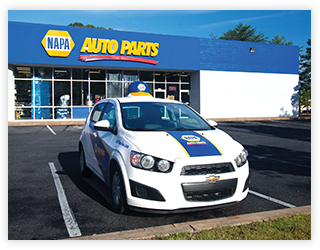 If you already own an auto or heavy duty parts store, consider the benefits of the NAPA program. Our team will explain and guide you through the changeover process. Equity, income, freedom and pride of business ownership, community, and the backing of the NAPA brand make up The NAPA Story of independent business ownership. 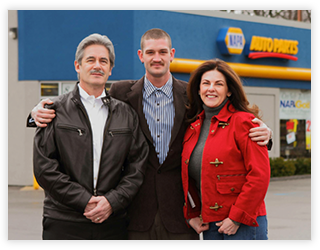 Of the five pillars, our more than 3,000 owners often cite their involvement in the community as one of the greatest benefits of owning a NAPA AUTO PARTS store. Here's an example with our owners Dwain and Erika Hutson of Twisp, WA.